Belgium's criminal forensics laboratory was set alight in the early hours of Monday in an attack that prosecutors said was more likely linked to organised crime than terrorism. 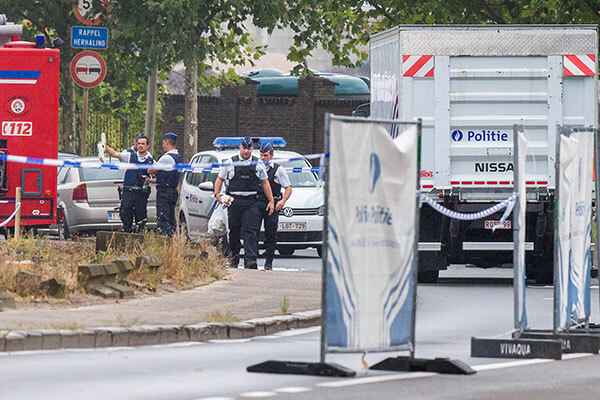 Five people were detained near the National Institute of Criminology in Brussels and are being questioned over the fire which caused an explosion but no casualties. "It was arson, deliberate arson, at the laboratory of the federal police," prosecutor Ine Van Wymersch said. "With a fire you get explosions, but it's not that explosives were thrown inside or installed." When asked whether the attack could be terrorism she said: "It is a path we are looking down. But certainly not the first one we are thinking about. "We are thinking more of deliberate arson by organised crime. We have no indications that it was terrorism." Belgium has been on high alert since Islamist attacks over the past year. Several attackers entered the site of the institute by car around 2 a.m. and went into the wing of the building where the laboratories are located, prosecutors said. More details about how the fire was started were not yet known as the building was still too dangerous to enter.